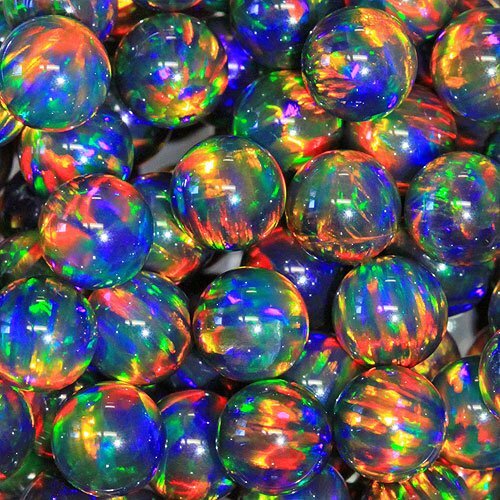 RGB is our newest opal color and its a sight to behold. They really are stunning! RGB spheres have an opaque black base and flash red, blue and green (green dominant). 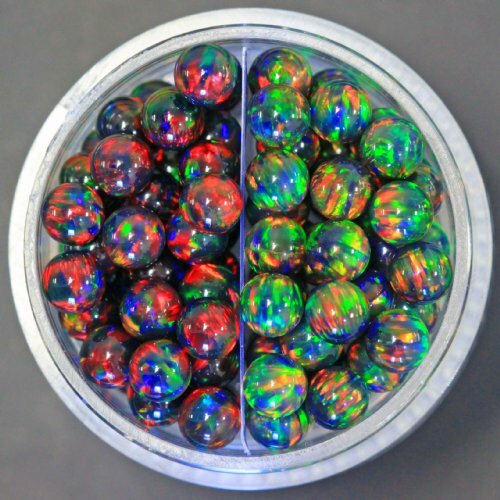 These stones flash in a way that is quite different then our (normal) black opal which is red dominant. They are sold by the individual piece. Spheres are completely round, like a ball.